Do you have a wet or damp basement? Is there a nasty moldy or musty smell that you just can’t get rid of? Or do you have a dehumidifier that operates around the clock and never seems to dry out your basement? Sounds like you might have a leaky basement, and at Edens Structural Solutions, we have the experience and expertise to help with your basement waterproofing needs. Water can creep into a basement through the floor, walls, the joints between them, and even through the concrete itself. At the first visit to your home, our basement waterproofing specialist will assess and identify the cause of the problem, as well as explain the best solutions and options available to you in detail. Our repair and waterproofing technicians are trained to efficiently get the job done right the first time! Let one of our basement experts give you a free no-obligation basement waterproofing estimate. One approach to fixing a leaky basement is to excavate the soil away from the basement, clean the wall and apply a heavy waterproofing membrane. Then, a French drain will be installed next to the wall to remove the water. Top soil and sod will be replaced as needed. 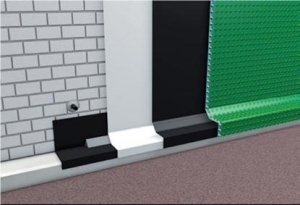 Hydrophobic Grout is an excellent option if the basement wall is not accessible from the outside. This process pinpoints the source of the water from the inside wall, then an injection consisting of a mixture of water and chemical grout is placed into the leak. The grout expands, filling all voids and creating a durable, watertight seal.